Explore the rugged Badlands and rolling prairies in the Dakotas. Located right in America's Heartland, North and South Dakota are filled with surprising beauty. From sweeping grasslands to the wild and rugged scenery of the Black Hills, the nooks and crannies of the Dakotas are begging to be explored. And, as the home to iconic landscapes such as Mount Rushmore, you might find this American landscape to be a road-tripper's dream come true. Named in honor of two of the first settlers to explore the Dakotas, Lewis and Clark State Park preserves rocky badlands on the shores of Lake Sakakawea. The lake offers fishing and boating, as well as a sandy beach for swimming. You can also hike and bike on trails through the striking scenery, or take the interpretive path that sheds more light on Lewis and Clark's journey through North Dakota. Campsites offer lovely views of the lake, and the park's marina provides rentals so you can make the most of a stop here. On the other side of Lake Sakakawea is Fort Stevenson State Park. It has a campground, a visitor center, and a marina, as well as a prairie dog town where you can observe the wildlife native to North Dakota. Prairie dogs are very social and active creatures, so they're super fun to watch! Fort Stevenson State Park is also home to an arboretum, in which you'll find more than 50 different species of trees, shrubs, wildflowers, and more. The Bismarck KOA is a great overnight option while you're exploring North Dakota. Its spacious tent and RV sites and cozy cabins can accommodate any type of traveler, and the extra amenities (such as the heated pool, playgrounds, basketball and tennis courts, and ice cream socials) add to the experience. Theodore Roosevelt National Park is actually comprised of three units, all connected by the Maah Daah Hey Trail. The North and South Units are popular for their vibrant grasslands, wildlife viewing (bison, wild horses, elk, bighorn sheep, mountain lions, and other animals populate the park), backcountry camping, and hiking. The Elkhorn Ranch unit, in between the North and South units, preserves an estate once owned by President Theodore Roosevelt. 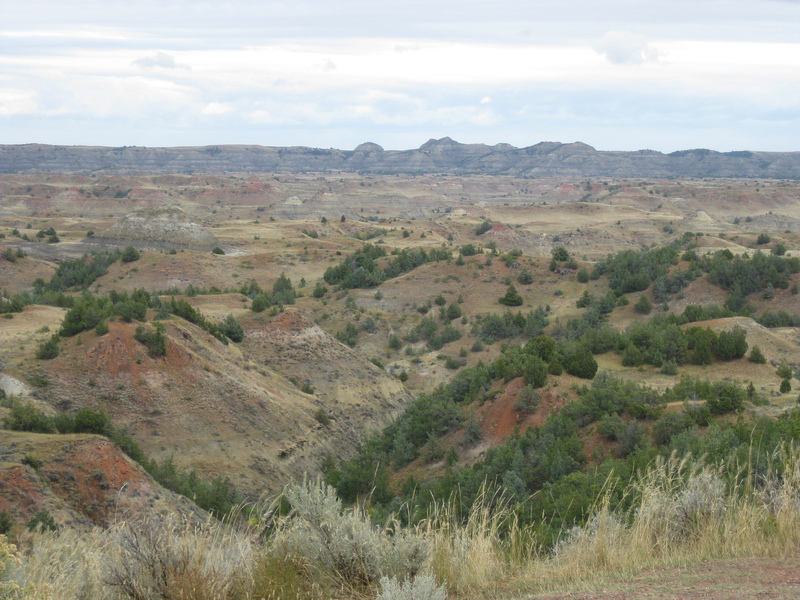 A huge patron of land conservation, Roosevelt had a special love for the badlands. As you explore the old shops and buildings on the ranch property, you'll probably see why! Pro tip: Stick around until nightfall-- the park has outstanding star-gazing, and occasionally, views of the Northern Lights. In a rural section of North Dakota, you'll find the Enchanted Highway, a numberless, two-lane highway through the prairie. Rising from the landscape along this otherwise unremarkable stretch of road is a collection of the world's largest scrap-metal sculptures. The whimsical outsider art pieces are scattered along a 32-mile section of the highway, and complement the prairie in a funky way. Towering over the grasslands of Bear Butte State Park is Bear Mountain (or, as the Lakota call it, Mato Paha). Part of the wild Black Hills, the mountain is sacred to the Lakota, who often leave prayer cloths and pouches on trees when they visit. Seeing these symbols of worship adds an extra layer of awe to a visit, and you can make the most of a trip to this special place by camping here, or taking a peaceful boat ride on the lake. Badlands National Park preserves a harsh, jagged landscape, but hidden among the rocks, visitors will find a wild beauty unlike anything anywhere else in the country. Striking, multicolored sandstone formations provide a background, perfect for fossil hunting, boulder scrambling, camping, and scenic driving. A mostly undeveloped swath of prairie protected by the U.S. Forest Service, the Buffalo Gap National Grassland is a scenic and serene area that is best explored on horseback, bike, or OHV. It's one of the best places to truly experience the wide-open spaces that make the Dakotas so special! Carved into the Black Hills of South Dakota, Mount Rushmore is a popular road-trip stop, and has been ever since Gutzon Borglum and his son, Lincoln, started carving the busts of George Washington, Thomas Jefferson, Teddy Roosevelt, and Abe Lincoln into the stone in 1927. When it comes to American landscapes, it doesn't get more iconic than this! Pro tip: Go after dark to see the light show projected onto the monument! In the Dakotas, the scenery below the Earth is just as impressive as it is above. Case in point: Wind Cave National Park. Head into the caverns on a ranger-led tour to see stalactites, stalagmites, intricate and rare boxwork, sparkly crystals, and even ice formations! On the surface, bison and other animals roam the prairie, unaware of the twisting miles of cave that lie just below. While the Dakotas are often overlooked in favor of regions with flashier National Parks, the grassland and rocky hills here are perfect for some peaceful exploration... and some epic road-tripping!